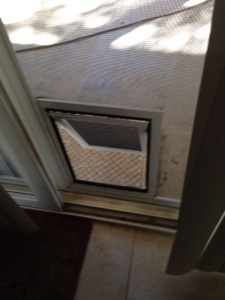 Sliding screen door with dog door installation in Ojai | Screen Door and Window Screen Repair and Replacement Simi Valley, Thousand Oaks and Surrounding Areas. 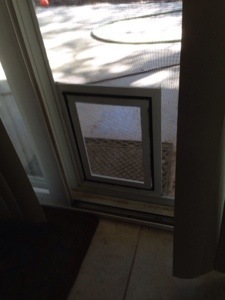 Sliding screen door with dog door installation in Ojai. We come to you for all your screen needs. 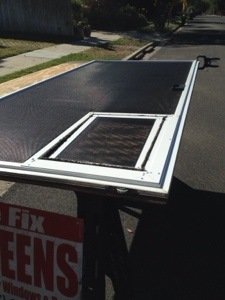 We are mobile and do repairs and replacements on the spot of door and window screens.